Your 2019 Universal Studios Japan adventure starts here! Right, there’s a lot to cover – so let’s get started! The 4th most attended theme park in the world! Universal Studios Japan is one of just four Universal Studios theme parks around the globe. 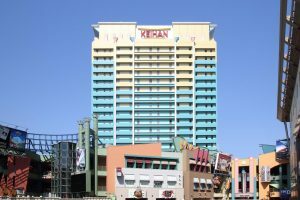 Opening in Osaka (Japan’s third largest city) in 2001, it’s more than double the size of its nearest neighbour Universal Studios Singapore. 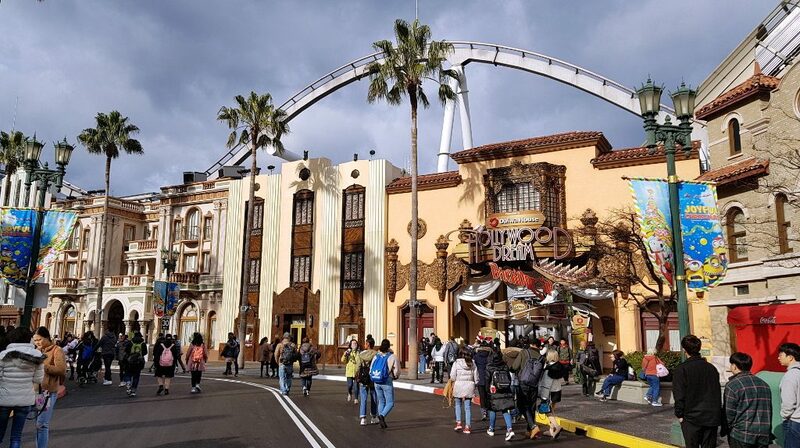 Universal Studios Japan is currently the 4th most attended theme park in the world – placing it ahead of many larger and longer running parks around the world. Its high ranking is impressive. But not entirely surprising. It has some of the best theme park rides and attractions anywhere in the world. It has some of the best theme park rides and attractions anywhere in the world. It’s a firm favourite among locals and foreigners visiting the country, with a staggering 14.9 million visitors in 2017. There’s a reason that many people are coming here. I’m not what you’d call a theme park nut. I’ve been to a few – mostly in Europe. I’m not a fan of stomach-churning rollercoasters designed to push you to your limits, but pretty much everything else I’m up for and enjoy. But, if you do like stomach-churning rollercoasters, Universal Studios Japan has those. If you don’t, there’s still loads more worth visiting for. 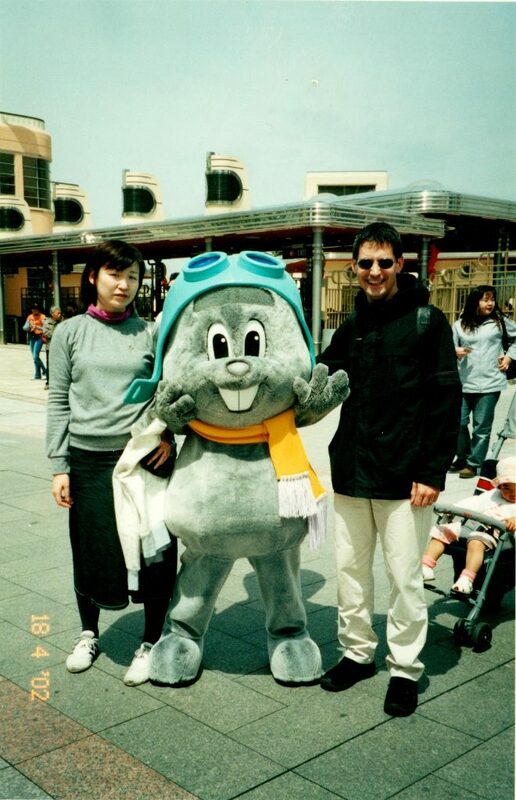 I first visited Universal Studios Japan in 2002. Just past the 1st anniversary of its opening in March 2001. Here’s my wife and I during that first visit – with Rocky the Flying Squirrel from Rocky and Bullwinkle. That first visit was a lot of fun. I returned a few years later, bringing a couple of friends who were visiting Japan for the first time. Back then the park included the rides E.T. Adventure and Back To The Future: The Ride. Both of which I loved. Since then, the park has seen some major investment and undergone major development. E.T. Adventure was replaced by Space Fantasy – The Ride in 2010, and Back To The Future by Despicable Me Minion Mayhem in 2017. Most famously, The Wizarding World of Harry Potter opened in 2014. That was followed most recently by Minion Park in 2017. Currently under construction is Super Nintendo World – due to open in time for the 2020 Tokyo Olympics next year. More on this exciting news later! Universal Studios Japan offers a wide range of rides and attractions. So there’s something to cater to every theme park taste. Universal Studios Japan offers a wide range of rides and attractions. There’s something to cater to every theme park taste. So, when I had the opportunity to visit the park again recently, it was with a sense of excitement at getting the chance to try out the latest rides and attractions (Harry Potter and Minions). And to revisit a few old favourites (Spider-Man, Terminator 2). No, to get the most out of any visit to Universal Studios Japan, you best have a game plan beforehand. If you do, your visit will be unforgettable. Pretty much guaranteed. If you don’t plan what time you have correctly, you’ll come away with a sense of frustration and, even worse, missing the rides and attractions you most wanted to try. Keep reading, and together we’ll ensure that doesn’t happen to you! First things first: buying tickets! There are two main ticket types. Park entry tickets are called Studio Passes. Whereas Express Passes shorten the waiting time for attractions. You do not need both. The Studio Pass will get you in and give you access to all the rides and attractions. However, as one of the most popular theme parks in the world, you will encounter long queues for some rides. What’s ‘long’? How about a waiting time of 2 hours or more?! Spending too much time in queues can quickly impact on how many things you can experience. That’s where the extra cost of Express Passes can be money very well spent. Tickets purchased in advance allow direct entry into the park. There’s no need to exchange for a Studio Pass at the ticket booths. There are 1 Day, 1.5 Day and 2 Day versions of the Studio Pass. The admission ticket includes park entrance and use of all attractions in the park. Tickets can be purchased at the ticket booths at the entrance to the park, but you’ll almost certainly have to queue for those. Far better to buy your tickets in advance. The you can just walk up and go straight into the park, wasting none of that precious time. Universal Studios Japan has a list of official partners authorised to sell tickets. Only buy tickets through official partners. Don’t be tempted to try purchasing tickets from other sources as they may be denied at the park. Of the official partners, only two, Klook and Voyagin, are authorised in all approved countries. Both are partners with The Real Japan – so you’re in safe hands with either. I’ve included links to both agents throughout this article so you can quickly book whatever you need. TRJ Tip: Re-entry is restricted. Meaning once you leave, you cannot go back in. There are a lot of ticketing options. The price of tickets varies depending on when you attend. Click on the Klook or Voyagin links to select your specific date(s) and to compare prices. The Universal Express Pass shortens your waiting time for designated popular attractions. Don’t push your patience to its limits, jump to the front of the lines with an Express Pass. Some Express Passes also include a timed entry ticket to The Wizarding World of Harry Potter to guarantee your entry on the day. Whether or not you need to buy Express Passes depends on a few things. If you’re only desperate to try a couple of rides or attractions then you probably don’t need one. Just be prepared to queue. (Note: 2 hours queuing time is not unusual). Also consider how long are you planning on spending in the park. If you can take advantage of a 1.5 or a 2-day Studio Pass you’ll have much more time at your disposal to get around all the rides and attractions you want. Again, you’ll still have to queue, but with more than 1 day, you’ll be able to strategically plan your days to minimise the queuing and maximise your ride time. Express Pass pricing varies depending on expected crowd levels. Only a limited number are available each day. Book early as once they sell out there are no more available. The most common (and key) question about the Express Pass is – is it worth buying? In short: Yes. Whilst you can access all the rides in the park with a regular Studio Pass, you’re likely to be doing a LOT of queuing. If you only want to be sure to try 2 or 3 rides then that will be fine with just the Studio Pass. But any more than that and you’ll start to struggle to fit them in a single day. Even if you do, expect to spend several hours queuing. Is it worth buying the Express Pass? Yes. With the Express Pass you’re pretty much guaranteed to try the rides you want, skip the queues significantly, have plenty of time to try plenty of other rides and still be able to take a leisurely lunch break in the middle. There are several different Express Passes available. Here’s a breakdown the different types so you can choose the best one(s) for you. Fully enjoy the Park by experiencing 7 popular attractions! 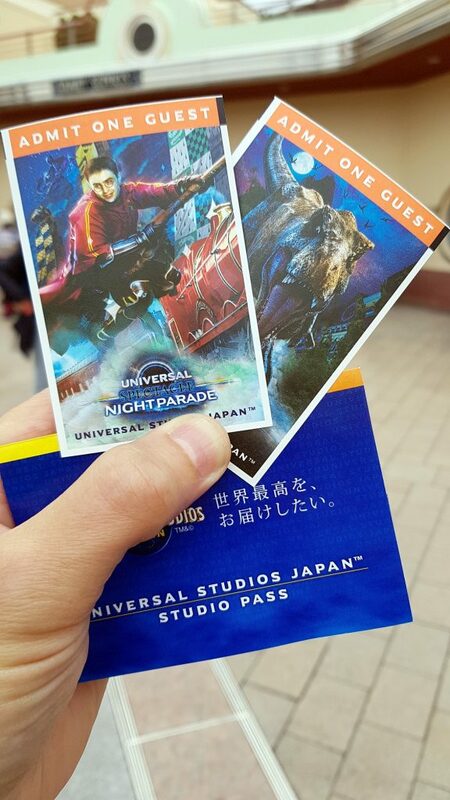 The Royal Studio Pass is the ultimate Universal Studios Japan ticket. The Royal Studio Pass is a physical ticket and wristband that must be mailed to a hotel in Japan with concierge service. It’s best way to enjoy all the attractions as many times as you like – all day. 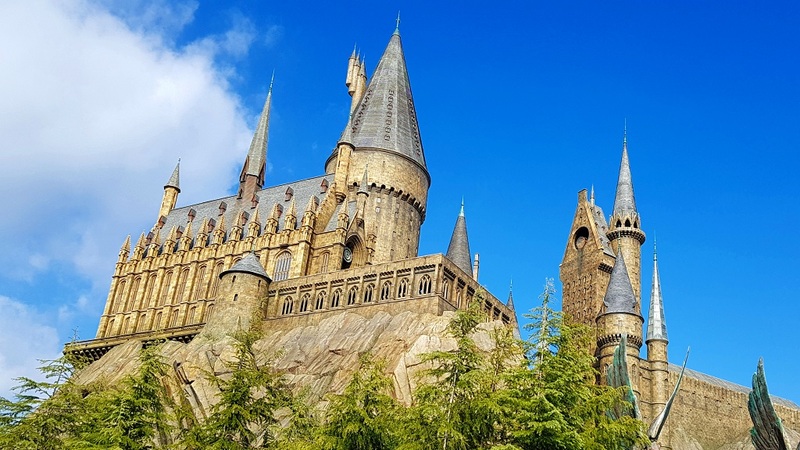 Guaranteed timed entry to The Wizarding World of Harry Potter, fast-track entry to six popular attractions, unlimited queue jumps and VIP entry to WaterWorld and Universal Monsters Live Rock And Roll Show. But, there is a ‘catch’ – of sorts. I’ve been told by the park that the Royal Studio Pass will soon only be available from the Japanese language version of their website. TRJ Tip: this pass requires booking at least 12 days before your visit, and you must inform the ticket agent of your hotel details for delivery by minimum of 3 working days before, to be sure they can deliver in time. There are just 200 Royal Studio Passes available each day, so you need to be quick. When purchasing you’ll need to select from five different start times, with each option including the same set of rides/attractions. The remaining four passes start at 11am, 12pm, 1pm and 2pm. The world’s favourite wizard comes to Japan! Spend hours walking the streets of Hogsmeade. See Hogwart’s Castle, the Hogwart’s Express and Ollivanders wand shop. 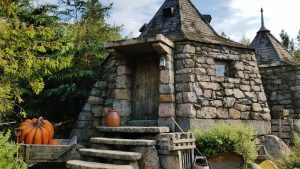 Stop for lunch and a butterbeer at the Three Broomsticks tavern, and experience two of the park best rides with Harry Potter and the Forbidden Journey and Flight of the Hippogriff. I wouldn’t describe myself a Harry Potter fanatic (I have seen all the films but not read any of the books). Nevertheless, even for me, The Wizarding World of Harry Potter is genuinely incredible. 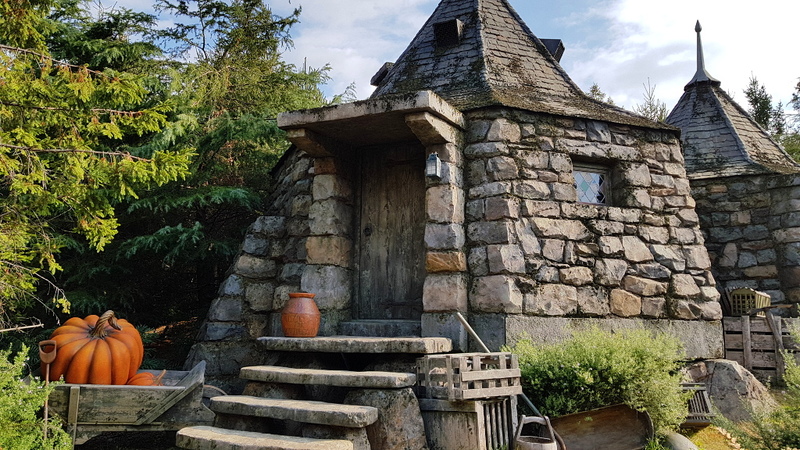 The attention to detail in the design and construction of Hogsmeade and especially the breathtaking Hogwarts really has to be seen to be believed. This is Harry Potter fan heaven! And, if you are a Harry Potter fan, you should expect to easily spend half a day here alone. More if you want to see and try everything. There are two rides. Harry Potter and the Forbidden Journey takes place inside Hogwarts and lasts about 15 minutes once you’ve walked you way around (passing all the familiar Hogwarts sights and characters along the way). The actual ride itself though, where you are suspended as if riding a broomstick, last around 4 minutes. It’s an assault on the senses from start to finish and terrific fun. 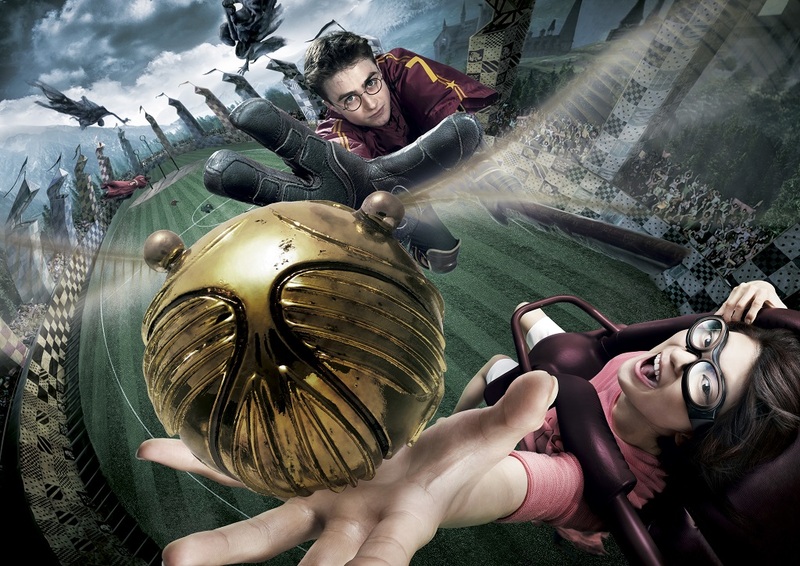 You even get to take part of a game of Quidditch – which is an unforgettable experience. This is a must-do ride! Flight of the Hippogriff is a more sedate rollercoaster ride. Just the kind of rollercoaster I like, in fact. It’s well designed with plenty of tight twists and turns – but nothing too stomach-churning. The kind of rollercoaster where you smile and laugh out loud rather than scream in fear. (Although you will still hear plenty of screams!) Great fun. 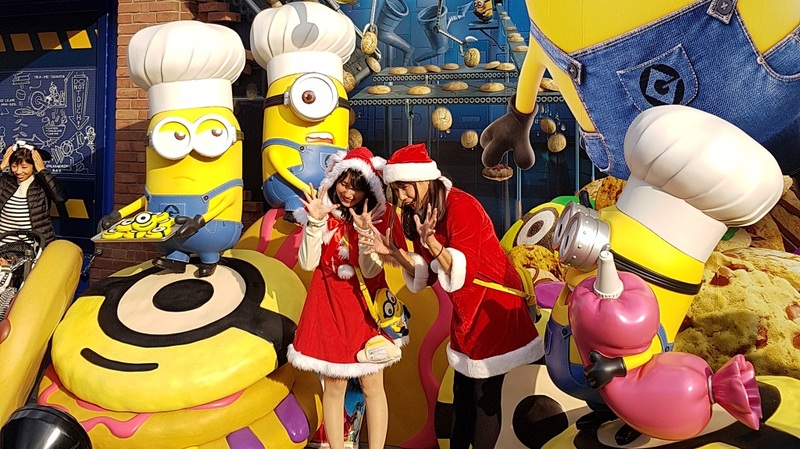 Yes, the most ridiculously entertaining yellow minions (from the hit Despicable Me/Minion movies) are Universal Studios Japan’s newest attraction – in their own park! 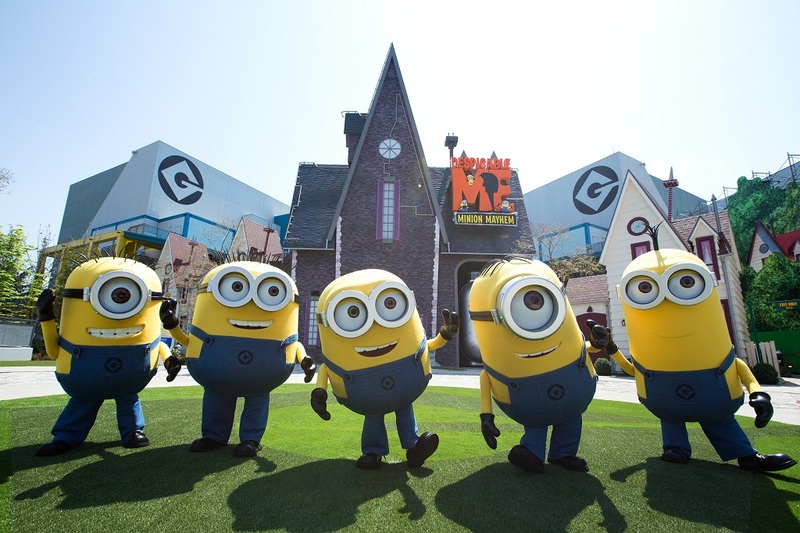 Be transformed into a minion on the Despicable Me Minion Mayhem ride. Slip and slide on the Freeze Ray Sliders, and eat all manner of Minion-themed snacks along the way. Rides aside, Minion Park is a great place to wander around. It’s packed with photo opportunities, play areas, food stalls and the Minion Market Place where you can spend a fortune on Minion and Despicable Me merchandise. There are also daily street performances featuring all your favourite characters. Freeze Ray Sliders is a gentle variation on the classic waltzer/tea cups rides. Enjoyable if not partcularly memorable. It’s best suited to younger riders (not that it stopped me having a go). Despicable Me Minion Mayhem is an excellent ride. Though it might be a little frightening for very young ones simply because you are thrown around a lot and the sensation of flying and falling is very realistic. The build up to the ride itself is great fun as you join a recruitment drive to be transformed into a minion. The pre-ride walk takes you through Gru’s house and it really looks like the one in the films. 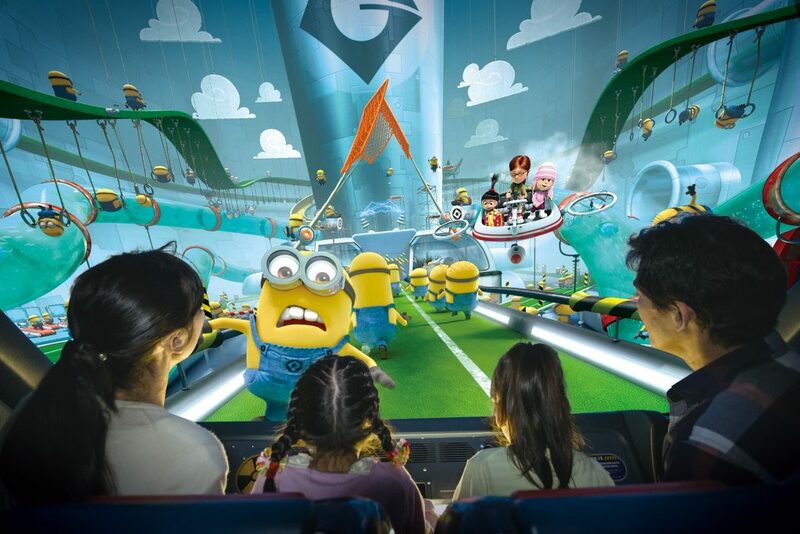 Despicable Me Minion Mayhem is fantastic – one of the top rides in the park. An absolute must-ride. 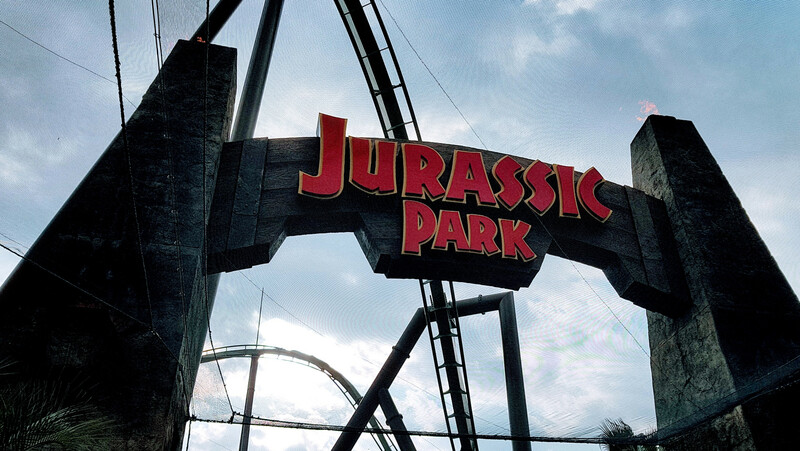 Prepare for a dinosaur-spotting jungle adventure with Jurassic Park – The Ride. Then, if you have the stomach for it, fly over Jurassic Park with your body dangling straight down on the terrifying The Flying Dinosaur ride. This area of the park has gradually expanded since it originally opened. Jurassic Park – The Ride is a water-based attraction. Riders climb into rafts which wend their way through the Jurassic landscape of the movie, dodging an array of dinosaurs as they go. It finishes with a T-Rex attack that plunges rafts down an 85ft drop. It reminds me a little of the JAWS ride – only a bit more sophisticated and thrilling. The Flying Dinosaur is unique to Universal Studios Japan. It’s the world’s longest flying rollercoaster as riders are suspended and ride face down. It features two massive inversions that soar high above the park and runs at a frankly terrifying 100km/h. There’s no way you’d get me on this, but it is hugely popular, having some of the longest queues in the park. Meet Snoopy, Hello Kitty, the Seasame Street gang and more in this kawaii area recommended for families with young children. 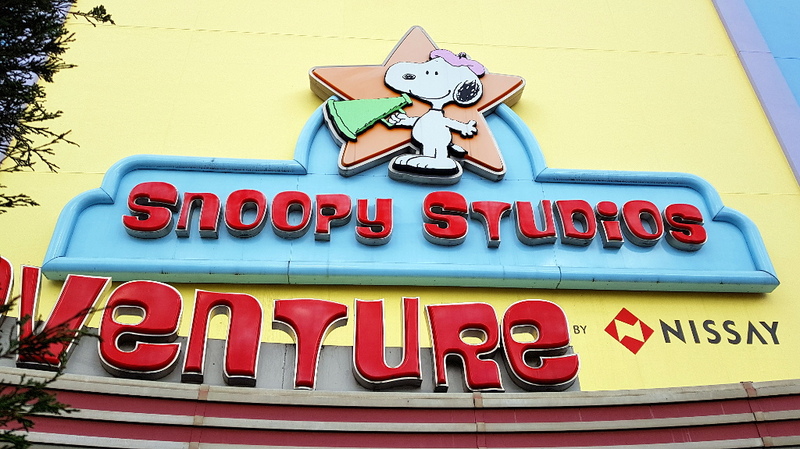 10 different rides and attractions await, including The Flying Snoopy, Snoopy’s Great Race, Hello Kitty’s Cupcake Dream, Elmo’s Go-Go Skateboard, Moppy’s Balloon Trip and Sesame’s Big Drive go-carts. All the fun and excitement of Hollywood featuring Space Fantasy – The Ride, Seasame Street 4-D Movie Magic, Shrek’s 4-D Adventure, the rollercoasters Hollywood Dream – The Ride and its reversing counterpart Hollywood Dream – The Ride – Backdrop. Walk down Holywood Boulevard, see live stage shows on the streets, stop for a hamburger at Mel’s Drive-In. 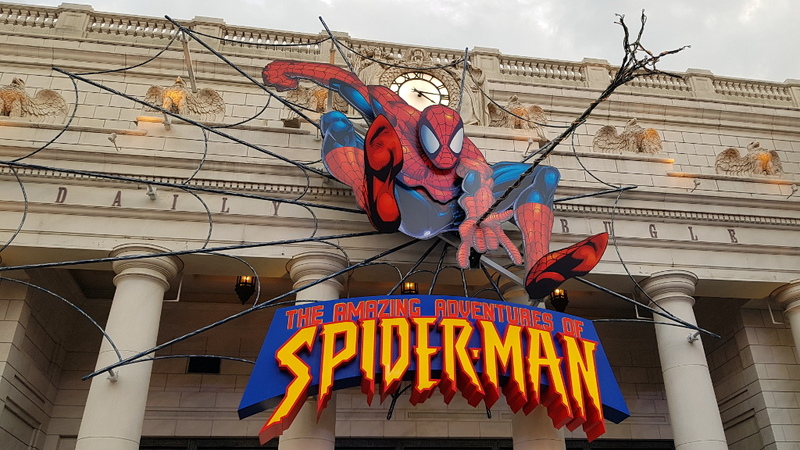 Home to two of the park’s biggest and best attractions: The Amazing Adventures of Spider-Man – The Ride 4K3D and Terminator 2: 3-D Battle Across Time. Stroll through Gramercy Park, stop for a stone oven baked pizza or Japanese food in a variety of restaurants. I’m a bit of a Spider-Man so always take the Spider-Man ride when I’m here. 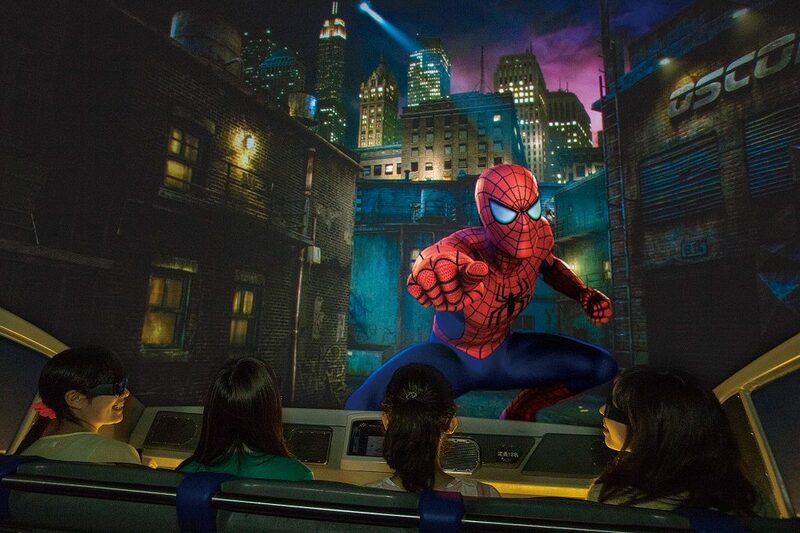 It begins with a public tour of The Daily Bugle newspaper, where Spider-Man’s alter ego Peter Parker works. However, it quickly descends into an encounter with several of Spider-Man’s famous super villian enemies. A lot of fun. Terminator 2: 3-D is incredible! It first opened in Universal Studios Florida in 1996 and yet it remains one of the best things at the park. The attraction is a mini-sequel to the film Terminator 2: Judgment Day and reunites director James Cameron and stars Arnold Schwarzenegger, Linda Hamilton, Edward Furlong and Robert Patrick. The show is presented in two parts; a pre-show where a Cyberdyne Systems company hostess shows guests a brief video presentation about the company’s innovations (disappointingly in Japanese only with no English translation), and the main show, where live performers interact with a 3D film. Note: T2-3D has closed in all other locations. Universal Studios Japan is the only place you can still experience this superb show. If you’ve not yet tried it, I urge you to do so, just in case it get replaced here too. Overlooking the park’s lagoon and where you can experience the realism of Backdraft the movie with powerful explosions and approaching flames! Grab a Minion curried omelet or Minion burger at Happiness Cafe. The Backdraft attraction is a clever way of turning a film into an ‘experience’. Guests enter a San Francisco building facade and into a soundstage where Backdraft is being filmed. During the main show visitors learn how the pyrotechnic effects were created and experience some of them first hand. The show, and the heat generated by the huge fires created in front of you, are impressive. Beware the giant, man-eating shark! JAWS is a chilling tour through the shark-infested ocean waters from Jaws the movie. 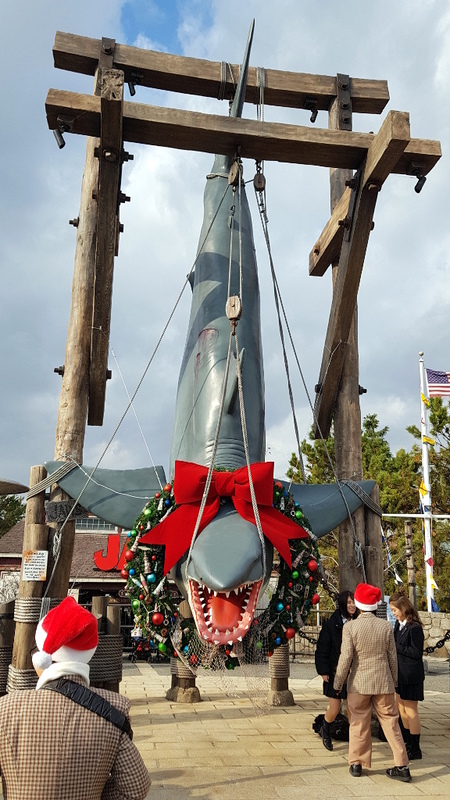 Can be topped off with a great photo opportunity with the captured shark. The WaterWorld theatre show is an epic recreation of the battle sequences from the movie, featuring incredible stunts. ©2018MARVEL ©Universal Studios. All rights reserved. It is possible to reserve a specific time for rides in the Universal Wonderland area. First, go to the attraction with your Studio Pass (main park ticket). Then select the time and “Yoyakunori” ticket. 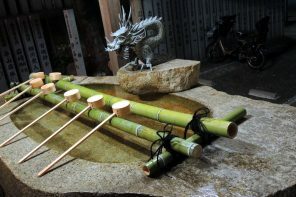 When your reserved time comes, go to the attraction’s special entrance for “Yoyakunori” ticket holders. There is no fee for this service. TIP: If you reserve an attraction, other reservations will be possible only after the reservation time of the already reserved attraction. Have someone from your group take the Studio Passes of all the members of your group to the Timed-Entry Ticket booth in Central Park. Select you desired time of entry on the ticket machine to receive your Timed-Entry Ticket (one per group). By riding separate from your party, you can reduce waiting times. This service is not available on certain days or at certain hours during the day. For availability and other requirements, please ask a crew member at the attraction. A handy system allowing you to take turns to enjoy attractions that children cannot ride. It enables guests with children/companions who do not meet an attraction’s height or other requirements to take turns and enjoy the attraction without waiting in line again. Ask a staff member at the attraction for details. 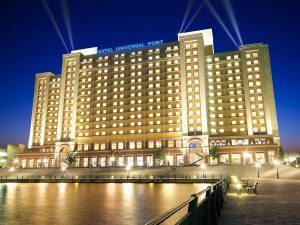 Universal Studios Japan is located overlooking Osaka Bay. It has a dedicated train station, ‘Universal-city’, on the JR Yumesaki Line. The entrance to the theme park is less than 5 minutes walk from the station. The train is probably the best all-round option for getting to the theme park. Our recommendation, trains in Japan are clean, fast and efficient. From Namba Station ride the Hanshin Namba Line to Nishikujo, then transfer to JR Yumesaki Line (also known as JR Sakurajima Line) to Universal City Station. Universal Studios Japan is 5 minutes walk from the station. A good option if you flew straight in, the buses go direct but run infrequently. 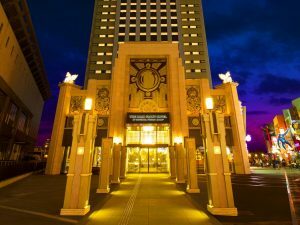 If you’re already staying at a hotel in Osaka check to see if they provide a shuttle service to Universal Studios Japan – several do. The ferry only departs from 9:30 am, so not the best way to get to the park to beat the queues, but is a nice way to end the day if you leave before 8pm. The Captain Line runs between Universal City Port and Kaiyukan West Pier (for Osaka Aquarium), and is free for holders of the Osaka Amazing Pass. Osaka is the ideal home for a theme park, as it has a (justified) reputation as being a city for those who like to celebrate life. It’s also a great food city, and is very welcoming to foreigners. It’s within sight of a major international airport, and it’s a showcase for that world-famous incredible Japanese customer service. 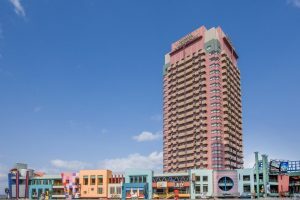 Universal Studios Japan offers 7 official hotels. Some of which are located just a few minutes walk from the entrance to the park. If you’re looking for a budget option that’s close to the park, then take a look at the J-Hopper Hostel. It gets great reviews from guests and it especially popular with solo travellers. If you prefer to stay in the heart of the city, I can personally recommend Candeo Hotels Osaka Namba. 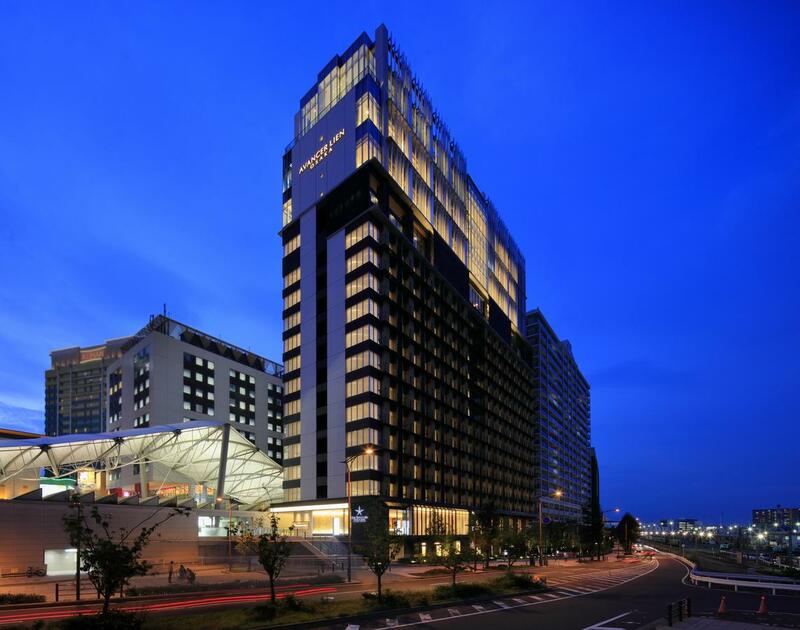 Read my full review of Candeo Hotels Osaka Namba HERE. Watch my video of Candeo Hotel Osaka Namba HERE. Experience unique and modern luxury with a Japanese touch. Directly connected to JR Universal City Station. 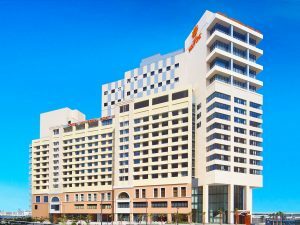 The Skyspa which features an open-air bath and hot tub is located on the 14th floor and is free for all guests to view the Osaka waterfront. Part of the Candeo Hotels Group. 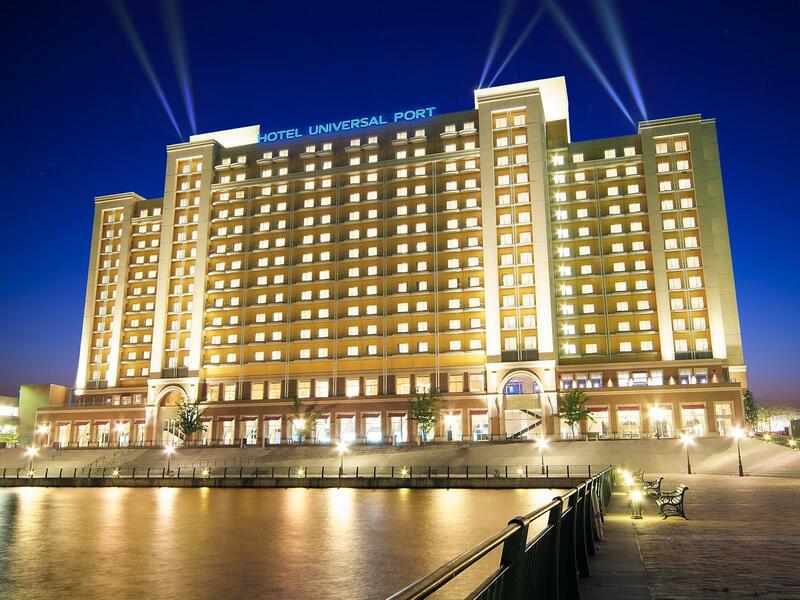 This is the newest official Universal Studios Japan hotel, situated within a minutes’ walk from the theme park gate. Couples particularly like the location — they rated it 9.3 for a two-person trip. This property is also rated for the best value in Osaka. Guests are getting more for their money when compared to other properties in the city. A 1 minute walk to Universal Studios Japan! 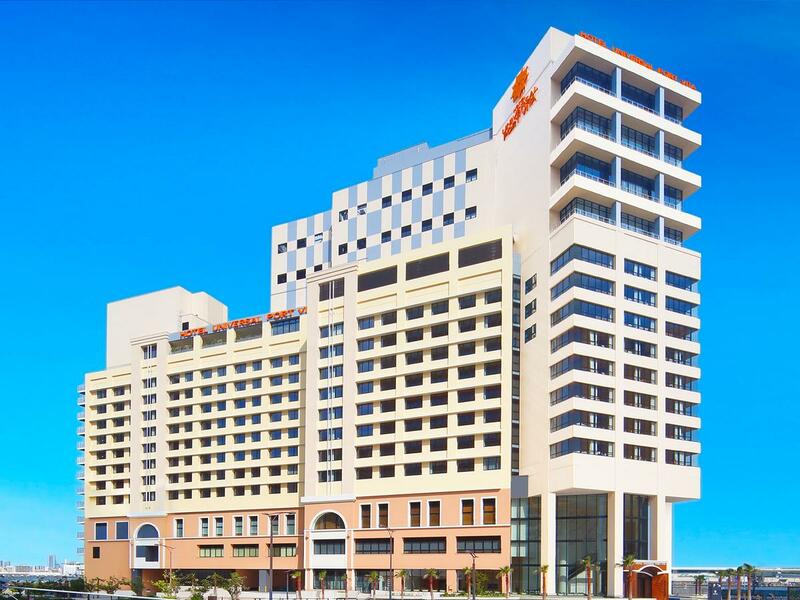 Located right next to the park, this hotel is just a 2-minute walk from the JR Universal City Station. They offer rooms themed around the popular Woody Woodpecker character and his friends. 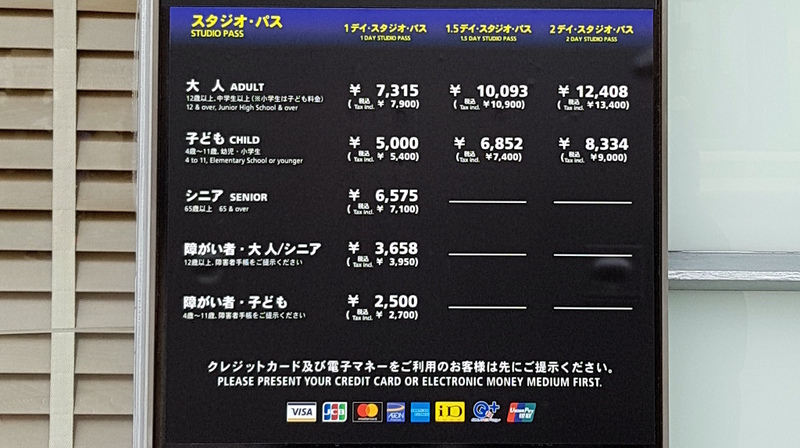 Facilities at Hotel Kintetsu include a Universal Studios Japan Information Desk, where tickets can be purchased and a Universal Studios Store. Hotel with a Hollywood art deco exterior. Rooms are styled with themes such as “Forest”, “Lake” and “Movie”. Corridors continue the themes through their ceilings, carpets and room door designs. 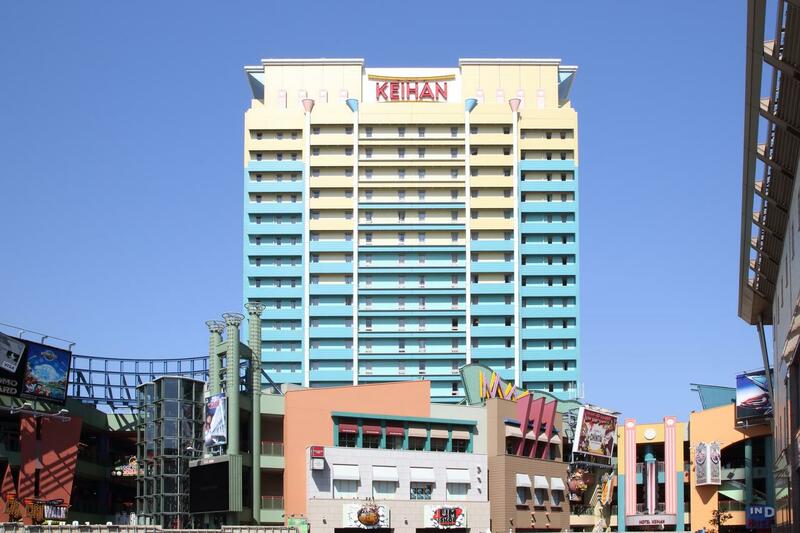 It’s like you’re already in the theme park – making it a great family option. The hotel is just over 1 minute walk to the park entrance. 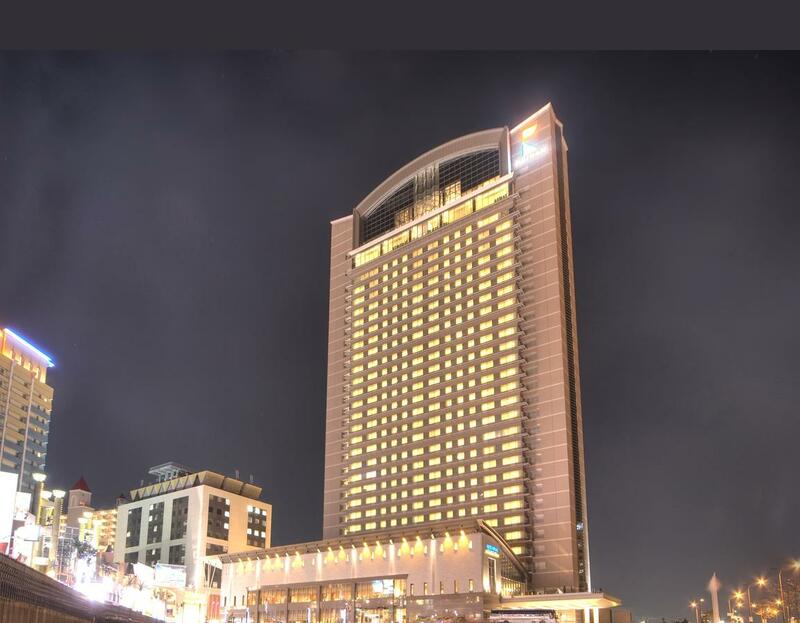 The largest official hotel, rising 138 meters above ground with 32 floors. 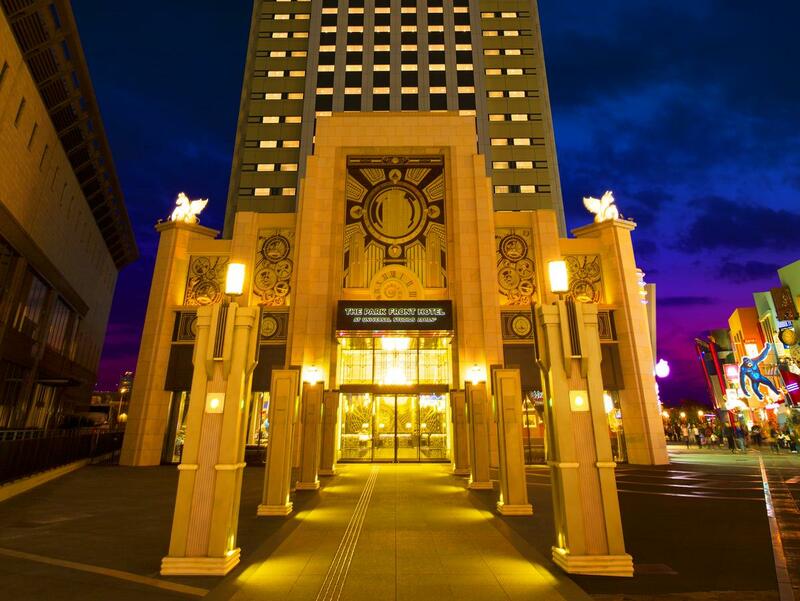 The 31st-floor S-PARK Spa has a sauna, jet bath and hot-spring baths with city views. Garden Restaurant lays an all-day buffet spread with Japanese and Western dishes. All rooms come with a 37-inch flat-screen TV. Rated highly by couples. 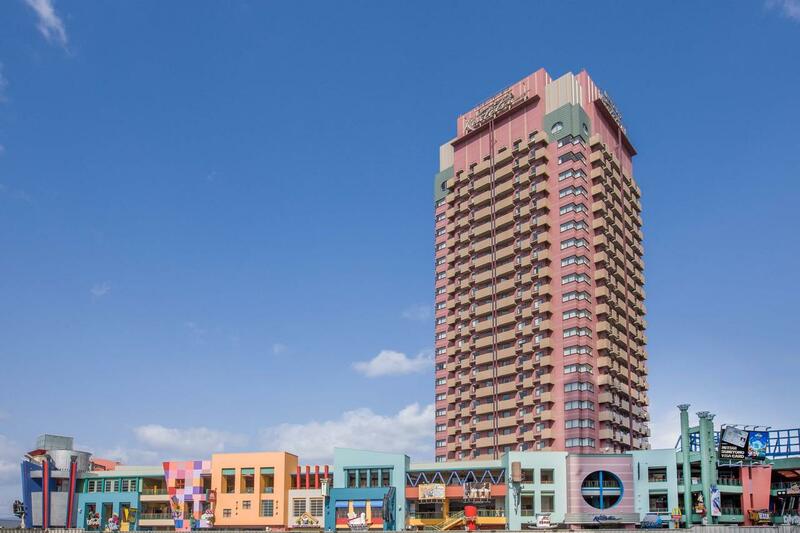 Only a 4-minute walk to the park, Hotel Universal Port offers private parking for guests. 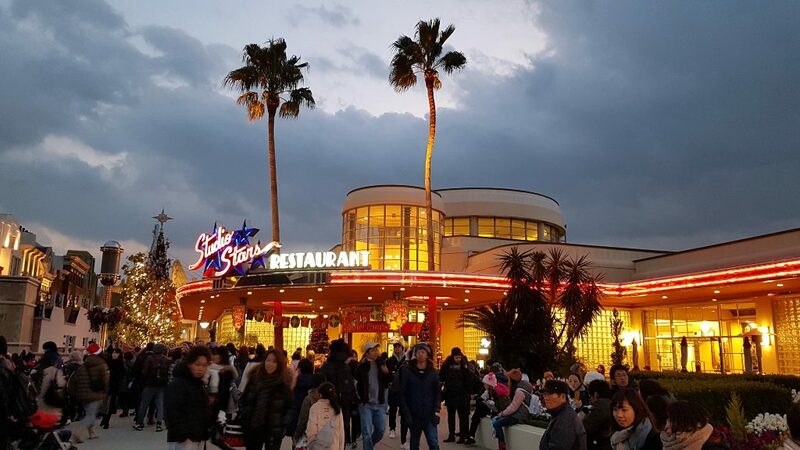 Has a Universal Studios Japan store and couples particularly like the location, rating it 9.0 for a two-person trip, but it’s also suitable for families. Has a ‘Superb’ rating with over 4,000 reviews on Booking.com. 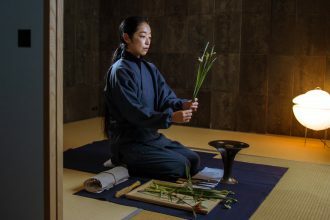 One of the top picks in Osaka on Booking.com – and a guest favourite. They have a Universal Japan ticket counter where you can buy your tickets (as well as for the Kaiyukan Aquarium). By purchasing at the hotel, you can skip the lines and save time. It also has a 24 hour Lawson convenience store. A 6 minute walk to the park entrance. Resale of tickets is strictly prohibited. Resold tickets will not accepted in the Park. How can I find out about daily show schedules? The park publishes a ‘Today’s Events’ leaflet and show schedules can be picked up at Guest Services (on the left as you enter the park). You can also check the show schedule in advance on the official Universal Studios Japan website HERE. Does the park have Tax Free Shopping? All the shops within the park are tax-free. You’ll need to fill in a exemption forms after making your purchases. Forms are available from the Studio Gifts West (on the right when entering the park). What should I do if I get injured or feel sick? Notify a member of the park’s crew or go to the First Aid (on the right as you enter the park). Do children need a ticket to enter? What are the age limits for a child ticket? Yes, children from ages 4-11 require a child ticket to enter the park. Infants under the age 4 can enter the park for free. Senior tickets may be bought directly at the park. To avoid long queues at ticketing, you may also opt to buy them an adult ticket on Klook. Is there an Osaka travel pass you’d recommend? 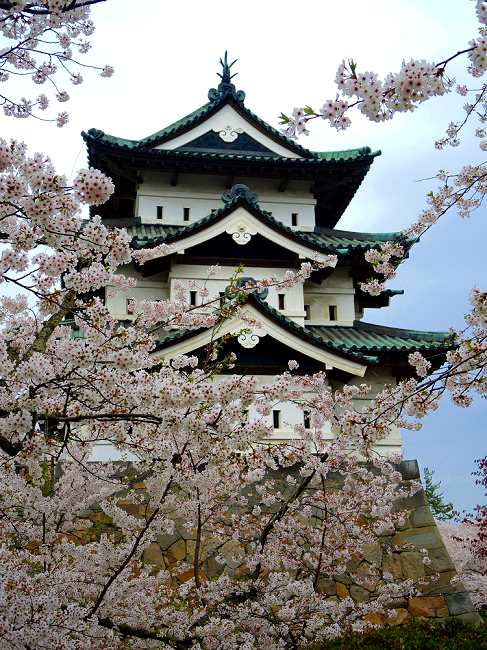 If you’re spending at least a couple of days in Osaka you might want to consider getting the Osaka Amazing Pass. It’s a day travel/attration access pass, offering unlimited subway rides, food discounts and free entry to 30 attractions in Osaka. What SIM Cards/Wi-Fi can you recommend? If you want to share your visit with friends and family you’re gonna need a SIM card and/or a Wi-Fi router. If you need a mobile phone SIM card, I can recommend Mobal. They offer FREE worldwide shipping & pickup in Japan, English language support, a money back guarantee, and all their profits go to charity. If you want to use a Wi-Fi router I recommend Ninja Wi-Fi. Rock solid reliability and excellent customer service too. 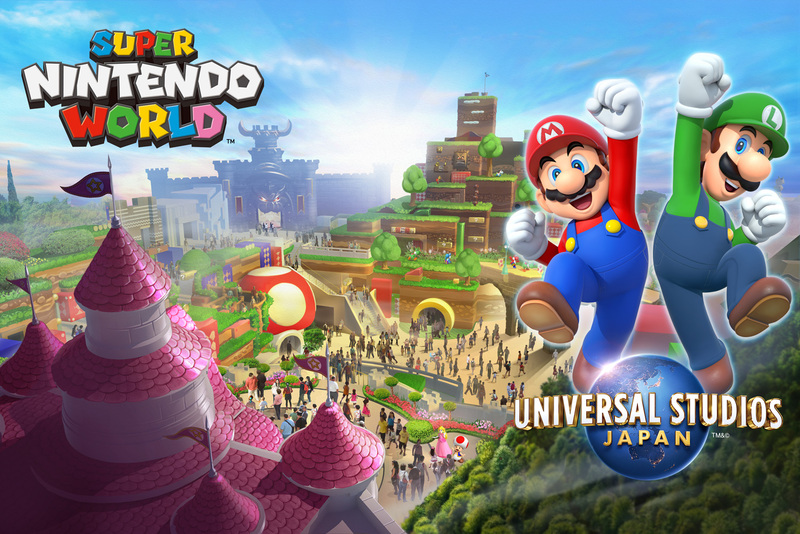 Super Nintendo World coming to Universal Studios Japan next year! Nintendo properties are trademarks and copyrights of Nintendo. © 2016 Nintendo. ® & © Universal Studios Amblin Entertainment ® & © Universal Studios. All rights reserved. The world’s first Nintendo themed area is being developed with more than 50 Billion Yen and targeted to open in time for the 2020 Tokyo Olympics. Work on the major development is already well underway. Super Nintendo World will comprise expansive and multilevel environments filled with unprecedented state-of-the-art rides, an interactive area shops and restaurant, all featuring Nintendo’s most popular characters and games. I’ll be keeping track of the opening of Super Nintendo World, so bookmark this page or subscribe so you don’t miss it’s launch. Watch the video below for a tantalizing tease of what’s to come. It looks awesome! Super Nintendo World: Coming Soon! 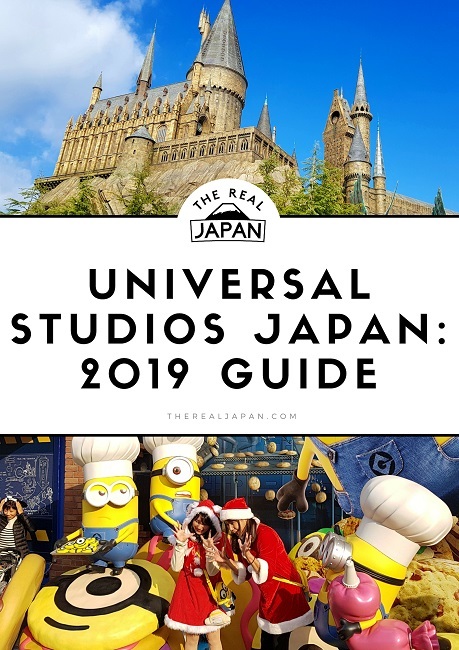 My Ultimate Guide to Universal Studios Japan 2019. I hope you’ve found it helpful and interesting? When you go be sure to let me know by leaving a comment (and a photo or two) below. Have fun. 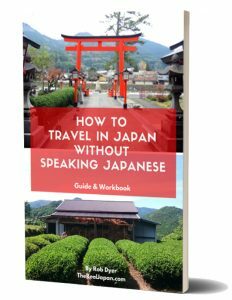 If you want to travel in Japan but don’t speak Japanese you can learn more about/buy my ebook HERE.